Stop us if you’ve heard this before, but Peter Parker is Spider-Man no more! Also, Spider-Man is Peter Parker no more! Confused yet? Don’t worry, SHH is going to bring you up to speed on Nick Spencer and Ryan Ottley’s Amazing Spider-Man relaunch. Here’s the short version: Spencer and Ottley have ruined Peter’s life, again. Peter’s lost his job and his reputation because Doctor Octopus made several questionable choices when he was the “Superior Spider-Man.” Curt Connors, a.k.a. the Lizard, offered Peter a way to reclaim his life by going back to grad school. However, a freak accident split Peter and Spider-Man into two separate people. Unfortunately, this Spider-Man has none of Peter’s personal responsibility. He’s also a greedy sell out who doesn’t care about his counterpart. But the joke is on Spidey, because both he and Peter are going to die if they aren’t recombined. 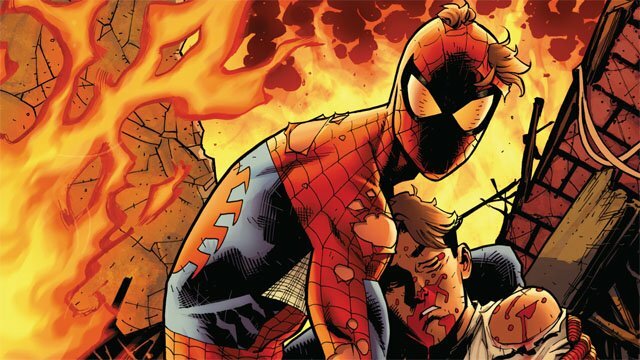 Next week’s Amazing Spider-Man #5 will bring the first arc to an end, things aren’t looking so hot for Peter! The good news is that he’s back together with Mary Jane Watson. The bad news is that he can’t save himself without questionable help. Enter Boomerang, a.k.a.Fred Myers. With some properly applied motivation, Peter’s obnoxious and unwanted roommate may prove to be useful after all. Still, it’s going to be a challenge for Peter to protect his secret identity. And have we even seen what the duplicate Spider-Man looks like under his mask? Is a perfect duplicate of Peter? Or is there a reason that this Spidey doesn’t unmask? You can read the full exclusive preview in our gallery below. 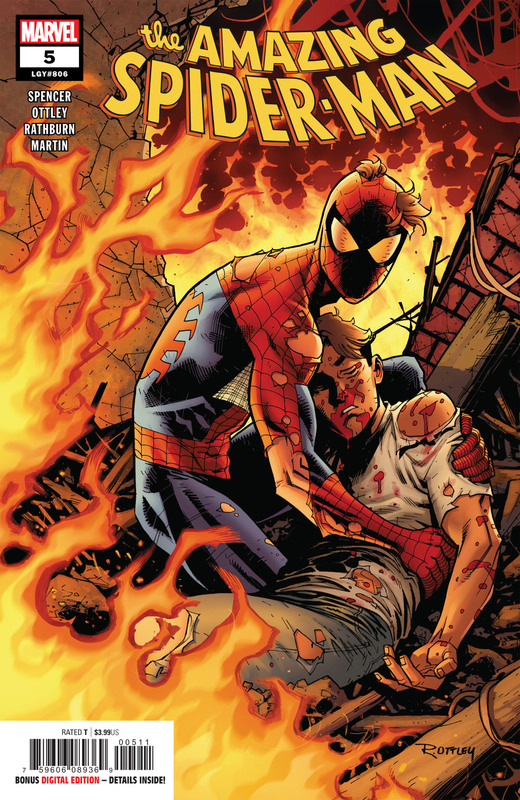 Amazing Spider-Man #5 will be released on Wednesday, September 12.